A Refrigerator that Runs Without Electricity - J & N Roofing Maintenance, LLC. Go Energyless’ first product is a natural low cost cooler producing a sustainable evaporative process that can save food for over 13 days. Leaving your food on the counter for a few days won’t do you any good. We are used to placing our food in the fridge in order to preserve it, but as crazy as it sounds, there is a way of keeping your food without a fridge for more than 13 days. This next product is a cheap and natural cooler that will help you save your food without using a fridge. 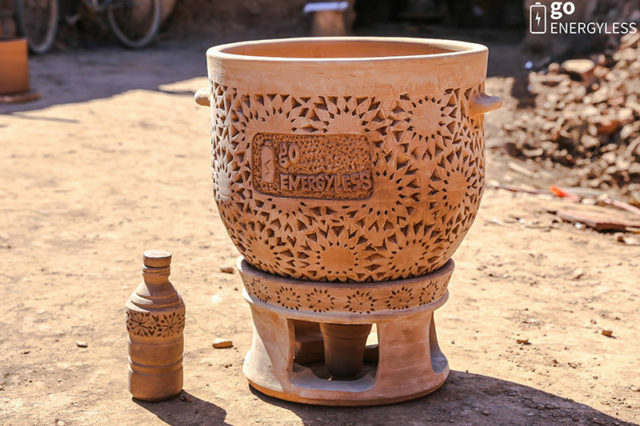 This is a really cool idea for those who want to go off the grid and it was developed by a Moroccan company called Go Energyless. Don’t forget to share this cool idea with your friends too as they will surely be happy to save a little money by using a natural, energyless cooler.